Tkaczyk has offered an update on his drumming ability. The Ghost Inside‘s drummer Andrew Tkaczyk offered an update on his drumming ability since their 2015 bus accident. The band have faced many challenges following their bus crash back in 2015, but they have since offered updates on their status, sharing that there is a future for the band. In a new Instagram post, drummer Andrew Tkaczyk posted a video, and two additional pictures, of his current drum setup. Adding to the post was a caption that offered an update on his current health and current drumming ability. Back in May, the band shared an important update on what the future looks like for the Ghost Inside and how they plan on moving forward. 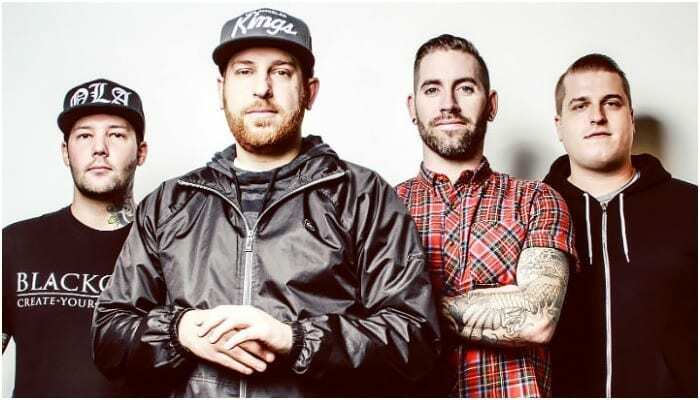 The Ghost Inside held their first band practice April 17, where they went live on the band’s Facebook page to “hang out” with fans while they set up the practice space. The moment was the first time fans were able to see the band practice since they were involved in a serious bus accident Nov. 19, 2015, which has caused them to face an extensive recovery following their crash. Last month, vocalist Jonathan Vigil shared an update with fans following his recent ankle fusion surgery and the difficulty behind finally going through with the decision. Vigil also took to Instagram to talk more about the heartbreak of not being able to play shows. “Being completely honest and transparent, going to shows is HARD. And I don’t mean hard in the physical sense because most venues, staff, security, patrons and show goers are very accommodating to handicapped or injured people,” Vigil shared. The Ghost Inside’s drummer Andrew Tkaczyk recently released an EP, Coma Visions, from his new project, One Decade.